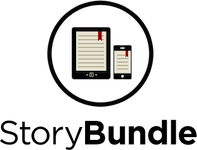 StoryBundle is proud to present the Holiday Gift Bundle, which features eight books in a multitude of flavors. The titles showcased in the bundle represent genres such as traditional fantasy, medical thriller, non-fiction, supernatural horror, murder mystery, urban fantasy, historical adventure and even zombie humor, which makes it the perfect gift for every kind of reader (including yourself)! In addition to just getting the digital version of Zombies of the World, people who qualify for the bonus books also get coupons for 20% off a print copy of the book, and 10% off a poster combo pack! We’re also proud to feature the exclusive debut of Damn Interesting’s Unsettling May Have Occurred – Occasionally Uncomfortable Obscure True Stories from History. As part of getting ready for Halloween, I’ve started binging on zombie films. There’s a good number of them on Netflix and I watched a hidden gem on it recently: Rammbock. It’s only an hour long so any zombie fan should take the time to watch it. 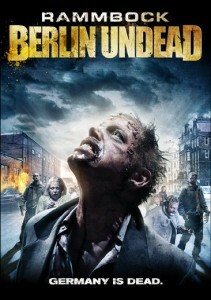 Rammbock follows Michael, on his way to see Gabi, his ex-girlfriend in Berlin, when the undead rise up. He becomes trapped in her apartment with a teenager named Harper, but Gabi is nowhere to be seen. As the apartment faces the inner courtyard of the building, Michael and Harper talk to the other residents in hopes of figuring out how to survive. Of course, their plans don’t quite work out so well. I enjoyed Rammbock because it offered good acting, a good story, and interesting dilemmas for the survivors. The zombies had a few unique quirks of their own, and the film wraps nicely in only an hour. Gorehounds will be very disappointed though, as there is very little blood and no gruesome death scenes. However, if you enjoy interesting takes on the dilemmas survivors would face in a zombie attack, give Rammbock a try. I participated in a panel discussion about zombies in gaming at Gencon this year with Kenneth Hite, Dennis Detwiller, and George Vasilakos. If you want to get ideas about zombies interact with role playing games and what the best new zombie flicks out are, take a listen! After taking the Zombie Survival and Risk Analysis Quiz, you may be unpleasantly surprised by the results. We all like to think of ourselves as canny survivors, able to conquer any undead horde, but the truth is survival requires good risk analysis and preparation. The quiz should help point out your current weaknesses, so you know what to work on before the next attack. In general, each survivor ‘class’ is categorized by their level of aggression towards the undead, general preparedness, trust towards other humans, and their desire for shelter versus their desire for mobility. In other words, the class is your general outlook during a zombie attack. It represents your general survival strategy, but this may conflict with your survival plan. Diplomats are better suited at waiting for rescue or escaping than attempting to kill all zombies, for example. If your plan has a low chance for success, retake the quiz and pick a different plan to see how well you do. No man is an island. While humans are often more dangerous than the undead, they can also be invaluable in fighting off the undead. Improving your social skills and connections can help you find trustworthy allies and detect untrustworthy survivors. Once you pick a basic strategy, it is often better to devote a great deal of time and effort to it, rather than use half-measures. If you want to fight the undead, kill every zombie you see. 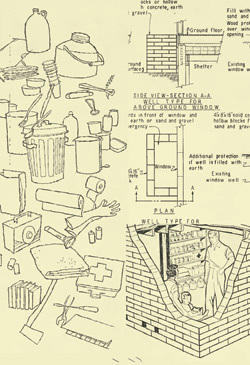 If you want to focus on getting a defensible shelter, choose a large building to fortify rather than a small apartment. If you want to recruit other survivors, get a large group of them, rather than a few. Some people have expressed dismay at their chances of survival after taking the quiz without realizing how easy it is to improve their chances of survival. The determination of who lives and who dies in a zombie attack is usually not a matter of who is the strongest, smartest or most charismatic, but a matter of choices. The choice to remain alone or stay with other survivors. The choice of which shelter to use. The choice of when to fight the zombies and when to hide. By changing what your choices are, you can change your chance for survival. Lesson 5: Learn what the threats are! Every major zombie species requires different tactics. Common Gray Shamblers are easy for any well equipped survivor, as they are slow and unintelligent. But Revenants and Talking Zombies are far more dangerous, if you don’t know how to deal with them. Reading field literature can only improve your odds of survival! Take the Zombie Survival and Risk Analysis Quiz! Are you ready for the next zombie attack? Can you survive all of the many dangers, both undead and human? A new online quiz has been published to help educate the public. The quiz assesses personality, skills, and attitudes toward the undead and other survivors in order to determine how likely the individual is to survive in a zombie attack. 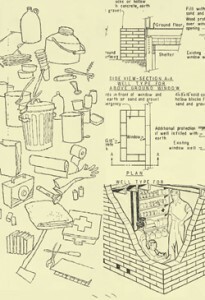 The quiz was based on material from Zombies of the World. Years of research are contained in these pages, revealing at least 20 distinct zombie species, their range, habitat, conservation status and behavior – including attack styles. Find out today what your weaknesses are in a zombie crisis! 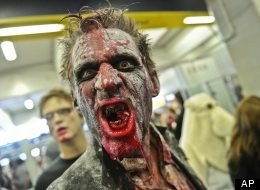 The Department of Homeland Security has warned citizens to prepare for potential zombie attacks, adding that such preparations could also be used in case of natural disasters. Ross Payton’s new book, ZOMBIES OF THE WORLD: A Field Guide to the Undead, was named Best Humor Book in the 24th annual Benjamin Franklin Awards at a ceremony in New York on June 4. 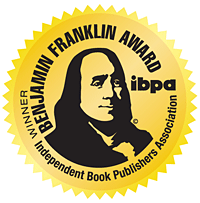 Named in honor of America’s most cherished publisher/printer, the Benjamin Franklin Awards™ recognize excellence in independent publishing. Presented by the Independent Book Publishers Association, the largest not-for-profit trade association representing independent book publishers, the awards are judged on editorial and design merit by top practitioners in each field. Awards are given in 54 categories. More than 1,300 entries were submitted to the competition. This is not the first or only award for Zombies of the World. Payton’s opus was a finalist in IBPA’s Bill Fisher Awards, Best First Book category. ZOTW also received a silver medal in the Independent Publishers (IPPY) Book Award in the Graphic Novel/Drawn Book–Humor/Cartoon category. In the IPPY competition, out of 3,200 entries from 44 states and 11 countries, only 372 medals were awarded. Zombies of the World has garnered high praise and excellent reviews for its imaginative concept, sophisticated design and remarkable artwork. Reviewers at The Zed Word described it as sharply written, wonderfully illustrated and designed, mercifully concise, and deeply influenced by zombie culture. And most important of all: it’s really fun to read. Payton’s all-color book is available on the Web at http://www.zombiesoftheworld.com/the-book/ in print or pdf; and at amazon.com in print or Kindle. Vote for Zombies of the World as Best Nonfiction Zombie book! Prepare for the Zombie Apocalypse with the CNN Geekout Blog! This post provides a handy list of resources to prepare for the next attack of the undead, including a link to Zombies of the World. Look at you, all plump and fleshy, with a quickening pulse and body jam-packed with sweet meats. That brain of yours, with the scrumptious gray matter and thinking cap makes certain re-animated corpses crave a dining bib. So what are you to do when the formerly living awaken with a hunger for a little human takeout? Are you ready for the zombie apocalypse?